We are winding up the year with an Anything Goes challenge. Let loose, have fun and get creative! 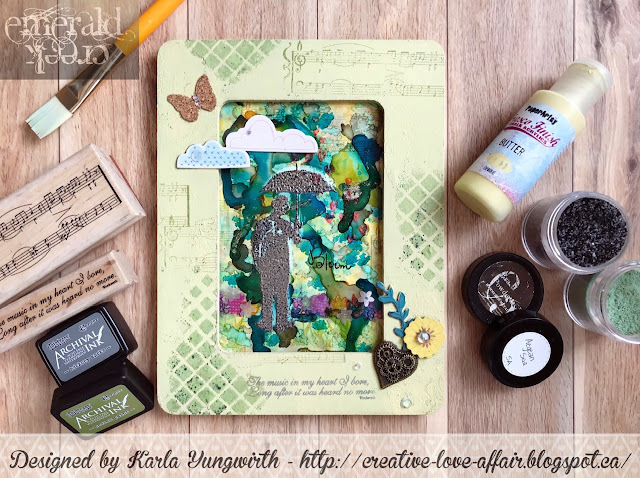 Currently we are in the StencilGirl & Emerald Creek Blog Hop, so check out Stencil Girl to play along! Don't miss the 12 Days of Giving with Creative Scrapbooker Magazine. You won't want to miss playing along there, because we have included a superb prize pack for their giveaway, along with many other awesome manufacturers and suppliers. January 1st we have an exciting announcement (if we can contain it that long LOL). Welcome to the Anything Goes challenge for December. I love the winter months. Even though we don't get much snow in California, the feeling is still the same. I want to cuddle up in my bed with a warm blanket wrapped around me and a cup of hot chocolate in my hand. Yes, snow would make it even better, but I take what I can get :) For today's challenge I created an art journal page. It's a nature scene with the EC Cardinal stamp as the focal point. I don't why, but for me this bird means winter, so it fits to the current season. I colored the background with my acrylic paints and created several patterns with the stencils. 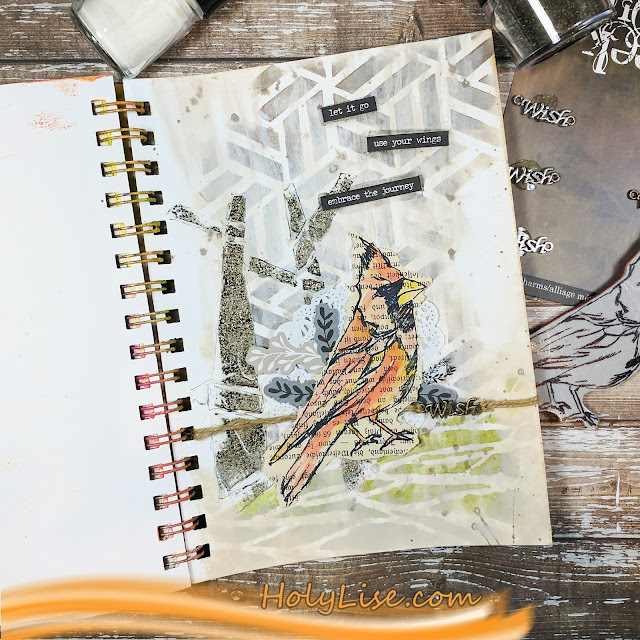 The Charred Gold embossing powder is the perfect decoration for my trees in the background and it still doesn't distract from my focal point, the Cardinal. If you'd like to see a tutorial video, feel free to watch it here. Thanks for stopping by and don't forget to join the December challenge "Anything Goes'! To enter this month's Happy Holidays! 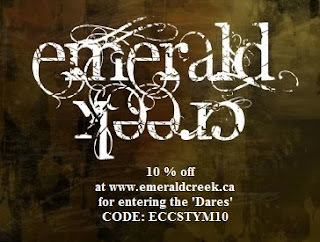 Dare, use the link below. Remember to follow the challenge rules as posted on the right sidebar of the blog, in order to be eligible.